Many companies employ a full time tax practitioner for their organisation to submit compulsory tax submissions such as PAYE, Company Tax, UIF and Skills Development Tax. Whilst these tax practitioners are capable individuals, they are often in need of direction when interpreting tax legislation as it affects the company and are often unaware of subtle changes or implications of events at the company that have an implication on its tax affairs. 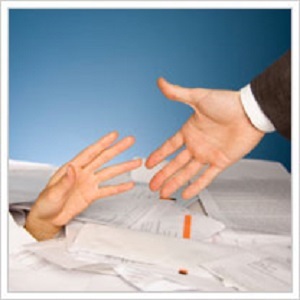 For this reason your business tax practitioner needs direction from a trusted and experienced financial expert. Engaging the services of a reputable and experienced financial expert, on a part time basis, can positively impact on the company with regards to taxation. Many part time financial directors are chartered accountants that have a sound knowledge regarding the various tax laws in South Africa. However, these experienced financial directors are often too expensive for a company to take on full time, which has resulted in a growing trend of companies engaging the services of a part time financial director to direct and guide the bookkeepers and company accountants on the best practice regarding tax for both large and small to medium businesses. Experienced financial directors can formulate an appropriate tax strategy that is aligned with your overall business strategy and the tax challenges facing your business. They are able to advise your company’s tax practitioner and give them direction on company structure in order to take advantage of the tax benefits that are available to them. This may not be as daunting as it sounds as there are companies on the market that offer this kind of service on a part time or project basis. Your company tax practitioner must be registered as a tax practitioner and should be sufficiently qualified so as not to leave you in trouble with the taxman. Do not assume that because a practitioner is registered with SARS, they are fit to advise you. Checking the tax practitioner’s background and references with regard to tax advisory competency will ensure that you will receive guidance that can be trusted and easily implemented. Historically a company was required by law to appoint an auditor who will audit and sign an audit report in respect of its financial statements. Similarly, a close corporation was required to appoint an accounting officer. In these situations, the auditor or accounting officer would provide assistance in determining the taxable income and the amount of tax to be paid. With the recent changes in the Companies Act and the movement away from annual audits to independent reviews, the part time financial director is in a unique position to help guide the company tax practitioner with regards to the relevant company information that may have an impact on the company’s tax affairs. There are so many different ways that companies can save on SARS submissions if they apply the tax act appropriately for their business. The complexity and challenges of the existing tax environment in South Africa means that companies need to engage with tax experts that can help you navigate these turbulent times and assist your business tax practitioner who may be in need of direction.